A SAP Solution Consultant is involved in designing, implementing and testing ALM functionalities of SAP Solution like ChaRM, ITSM, E2E monitoring and etc. In this position, the consultant is will also be responsible for overall SAP Solution strategy roadmap and implementation timelines, successful delivery of the SAP Solution landscapes including integration to third party tools like ARIS, HP ALM etc. It also includes reviewing project requirements and identifying gaps in the functionality of the Solution application in both the project management, Process management and monitoring areas. He will Initiate, coordinate and deliver development and implementation of system changes and work closely with SAP Solution technical developers to ensure accurate and timely code that matches the designs. Solution Manager 7.2 – Installation and E2E configuration of Solution Manager 7.2 (System Preparation, Basic and Managed System Configuration) using SOLMAN_SETUP, SMSY and SLD. Technical Monitoring – System monitoring, end user experience monitoring, integration monitoring (Interface Channel, PI Monitoring), BI Monitoring (BI Report and BW process chain), development of custom metrics and alerts for technical monitoring. Business Process Monitoring – Set up and configured monitoring objects depending upon various KPIs for variable product based upon industry specific. Run SAP like a factory- Implemented business and technical monitoring for OCC as a part of RSLAF, simple roadmap configuration for RUN SAP and ALM modules for different projects. Diagnostic agent – Installation of Wily Inters cope Enterprise Manager, Solution Manager diagnostic agent (SMD) host agent and connect to Solution Manager. Business Process Analytics – Configured Business Process Operations and Business Process Analytics (BPA) dashboards, implemented Business Process Change Analyzer (BPCA). Early Watch Alert- Implemented early watch alert and mail notification of EWA. Change and Request Management – Configured CHARM with CTS+ (Change and Transport System) for n+1 landscape and customized workflows for changes requests. Incident Management – Configured ITSM with customized workflow to create and assign incidents in SOLMAN and tracked progress. Configured SLA (Service Level Agreement) to prioritize tickets on severity impact. Transport Management – Configured and supported Transport Management System (TMS) in Solution Manager and Managed System Landscape and set up domain links between landscapes to automate transports through CHARM. 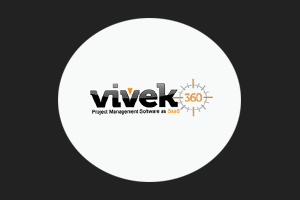 Project Management – Created template, implementation, and maintenance projects for various teams to store documents for the team. Document Management – Created Business Process Hierarchy (BPH), Schema updation, data quality revision for templates and documents stored in Solution Manager. Test Management – Drafted and executed test-cases to check end to end functionality for CHARM and Service Desk in HPQC. Responsible for validating test cases with client, defect logging, bug and status reporting to the designated team. ABAP – Developed program and objects to solve issues for digital signature for templates and documents stored in Solution Manager, workflow configuration for managing user’s profiles. Involved in multiple project life cycle from Project Preparation, Go-Live, Post-Production support, Upgrades in various industries like Manufacturing, Utilities and Pharmaceutical/Health Care. Responsible for managing QA. UAT and Go-Live implementation for KPI Basis Operations dashboards. Coaching – Providedtraining to the junior team members and business users on various functionalities of Solution Manager and also documented various user’s manual on different topics related to the solution manager. Qualification: Bachelor’s degree in Computer Applications, Computer Science, Electronics and Communication Engineering. Location: Doral, Florida. * Relocation may be required. Send Resume to: HR Dept., Iblesoft Inc.,7801 NW 37TH Street, Suite LP-104, Doral, FL 33195. All employees of Iblesoft, Inc. are automatically enrolled in the employee referral program of the company. Referral fee of $1,000 will be paid if referred candidate is hired by the company.